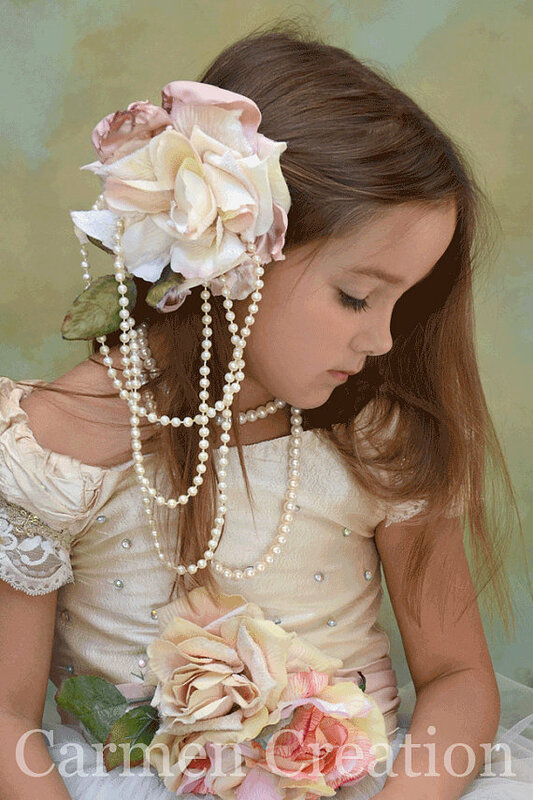 The hair clip featured is a beautiful accessory, can be used in photography to compliment a flower girl dress or can be used as a costume piece. The hair clip featured is a beautiful accessory, can be used in photography to compliment a flower girl dress or can be used as a costume piece. All of the flowers, are hand made, with pearls to match. If you have any questions please send me a message.